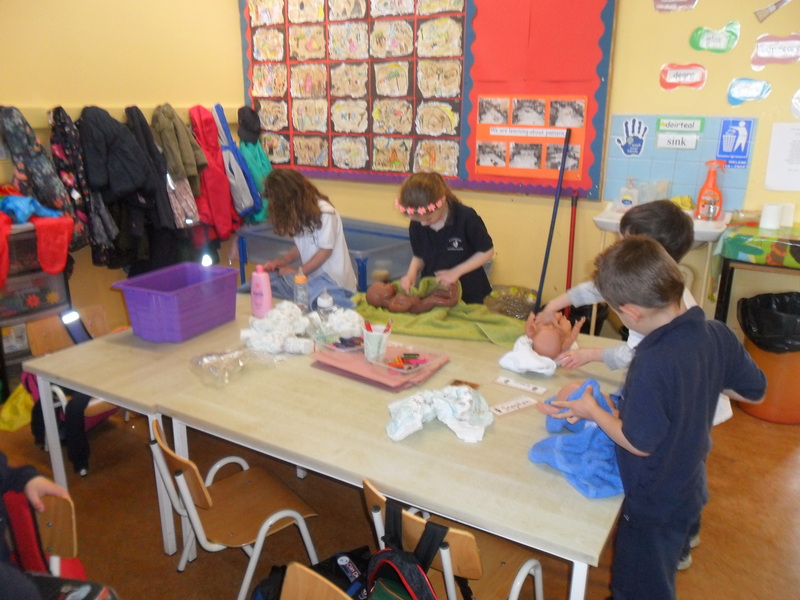 This month’s Aistear theme is ‘Families’. 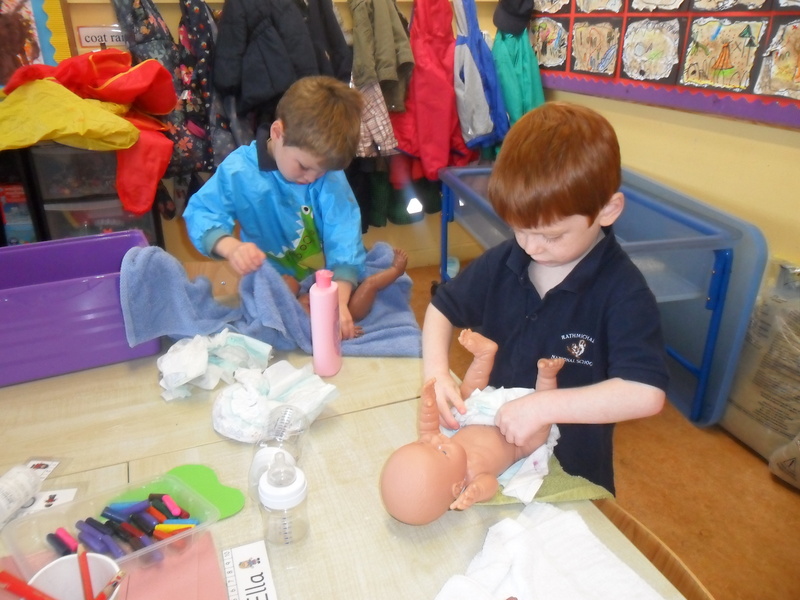 This week the children are learning about bathing and caring for babies at the water table. 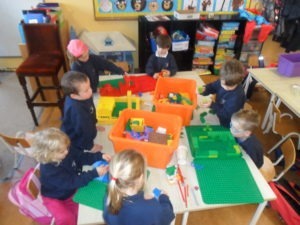 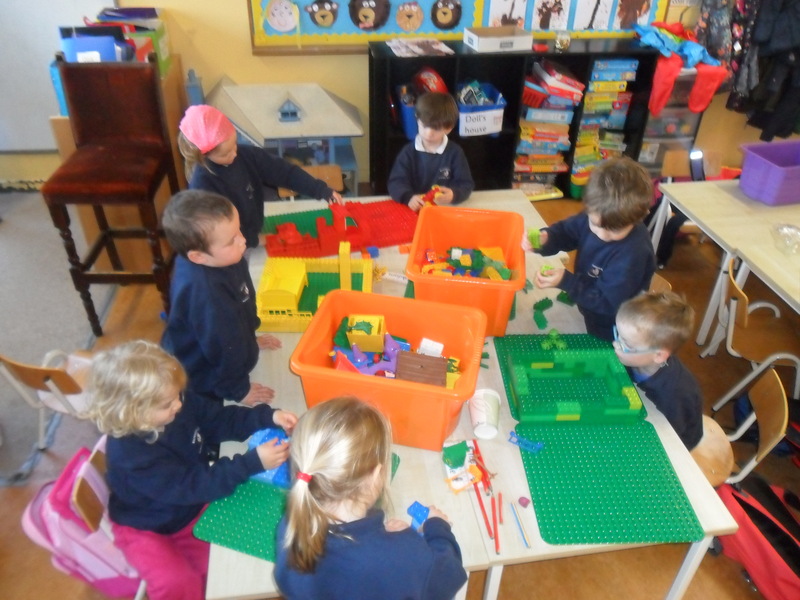 They are making Lego constructions out of the colour families. 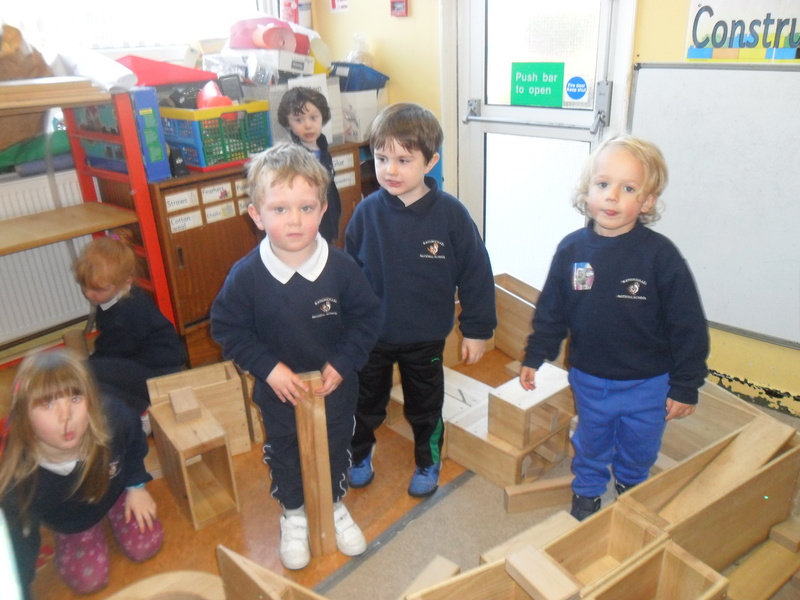 The children are listening to the story ‘A Quiet Night In’ about the ‘Large Family’ and then building the set and acting it out. 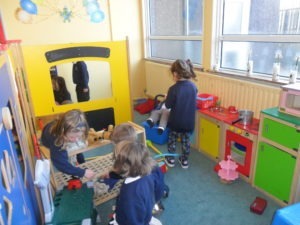 They are playing ‘families’ in the Home Corner, taking turns at being the different family members.